ISLAMABAD, Sep 16 (APP): Oman’s Under 18 hockey team manager Mohammad Abdullah Al-Batrani believes that his team’s four-match Test series against Pakistani youngsters will help them to prepare for the 4th U18 Asia Cup in a better way. “We are very happy to visit Pakistan. Playing against a strong team like them so close to the Boys under 18 Asia Cup will be the best preparation for Oman. 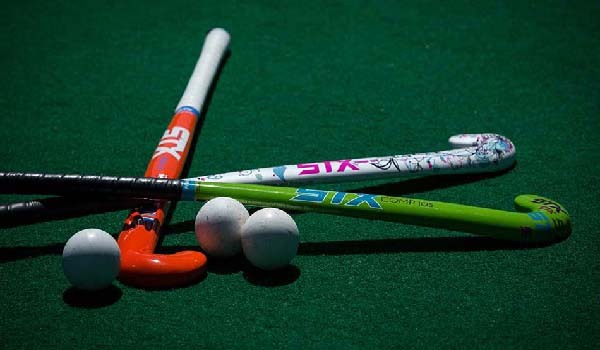 Oman Hockey Association (OHA) is grateful to Pakistan Hockey Federation (PHF) for accepting our request,” he told media on late Thursday after arrival in Pakistan. The 4th Boys under 18 Asia Cup Hockey, to be held under the auspices of Asian Hockey Federation (AHF) will roll into action on September 24 at Dhaka, Bangladesh. “In fact, Oman and Pakistan hockey relations have a long history. Pakistan greatly helped us when we were getting ready for our maiden appearance in a big event, the 1982 Asian Games. Oman’s national team had two month training in Karachi. We surprised everyone by finishing as high as 6th at those Asian Games. “That cooperation has continued ever since. Oman hockey is grateful to Shakir Munir, a former junior Pakistan international,” he added. Shakir, who is accompanying the squad, has rendered great service as Oman’s goal keeper coach for last so many years. Presently, he is also working as the international coordinator with the OHA. He was instrumental in arranging this tour. Only last month, he had arranged a match on Pakistan’s Independence Day between the Oman’s national side and the star studded PIA from Pakistan. In addition, a number of Pakistani hockey stars, mostly internationals, have been appearing in Oman’s domestic events, the H.M.Cup and the League. Speaking on the occasion Naveed Alam, director PHF Development and Domestic welcomed the Omani team and wished them a happy stay in Pakistan. “The PHF’s endeavour to bring international hockey to Pakistan has finally been successful. This should encourage other countries also to send teams to Pakistan. That, along with already enhanced activity at all the levels, junior, senior and women, should go a long way in the revival of the sport in the country,” he added.